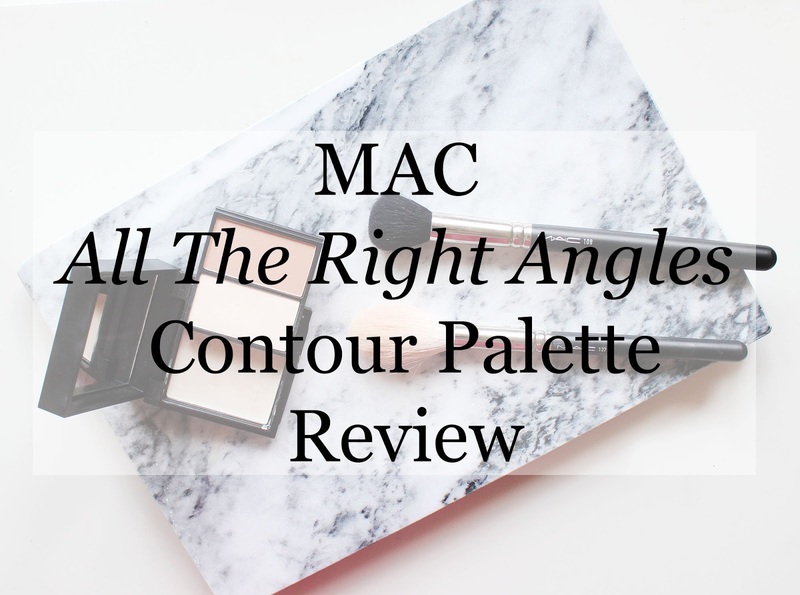 My boyfriend kindly bought me the new MAC All The Right Angles Contour Palette in the shade Light on the day it was launched. That was coming up a couple of weeks ago, so I've had a good chance to play around with it, and now I'm ready to share my thoughts on it with you! I thought the actual contour shade was a little bit too warm and pink under-toned for me, but it definitely works. I think it's just personal preference that I prefer cool toned shades to contour. It definitely does the job with an easy to blend formula. Where this palette really wows me is with the highlight shades. I have been a fan of MAC cream colour bases for a long time, and the shade in this palette - Luna - is no exception. 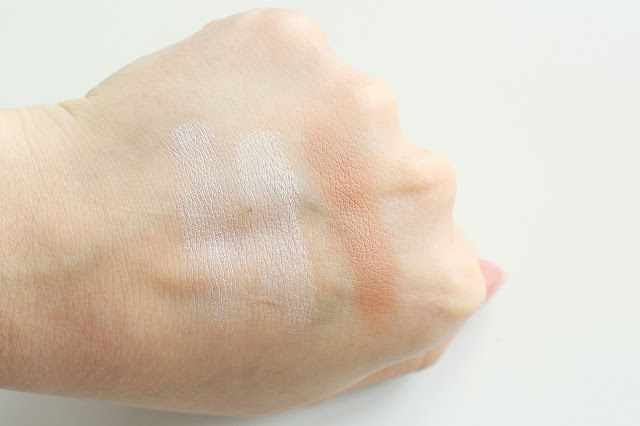 Although they can certainly be used underneath foundation for a more subtle, 'from within' highlight, I prefer to pat them over the top of my foundation with two fingers. I love the way it looks! It looks so fresh and dewy. It really does look natural and despite being another layer of cream product, it in no way looks cakey or disturbs the makeup underneath. 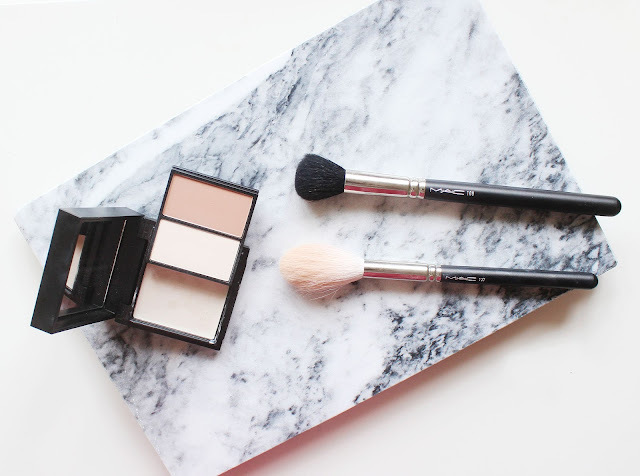 I've been a fan of beauty vlogger Jaclyn Hill since I was 16, and she's raved about using MAC Emphasize to highlight her under eye area for a long time. Because my skin is a lot fairer than hers, I didn't really take much notice because I just assumed Emphasize wouldn't be a highlight on me at all. It's the most beautiful thing and I'm so thankful it's in my life now! It really is a highlight on me, even on my pale skin. It's got the tiniest hint of shimmer in it so it's not like a cheek bone highlight, but it's enough to contour and to create an effective contrast to the darker shade in the hollow of your cheek to really give you some definition and brighten the area. As much as I love my Anastasia contour kits, they each have 6 shades in them and I literally only use one of the darker contour shades. I barely - if at all - touch the highlight shades. So I feel like this MAC palette is a lot more useful. It's also very compact: Emphasize and the contour shade are on a sliding panel, which moves to reveal Luna. It's perfect for travelling or keeping in your bag! Check it out here. Also, I now have a Facebook page. I'd really appreciate it if you gave it a like!